Yes, you'll learn tricks from Sid Lorraine's Scrap Book . Mechanics are described in detail, teaching dozens of card tricks and close-up tricks. Stage tricks and effects of nearly every genre (including a complete Troublewit routine!) are included, as well; Sid was a master of the magical melange, mixing together paper tears and appearing canes, spirit slates and spelling tricks to amuse, amaze, and entertain. Now Sid's collected wisdom is available in ebook form. 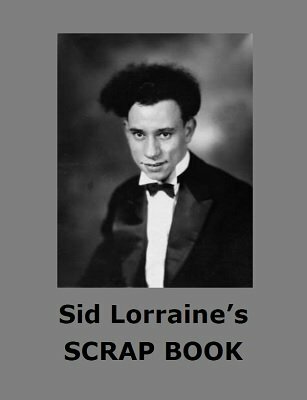 Sid Lorraine's Scrap Book is a fully searchable publication, chock full of patter, tricks, gags, insight, opinion and above all, entertaining material for the magician.